The Browns 2018 NFL season has started as they’ve now played their first preseason game. They came out 20-10 winners against the New York Football Giants so here’s my take on what I saw from the game after my first watch of it. FOOTBALL’S BACK! Keep your “It’s only preseason!” comments to yourself, this is an exciting time for Browns fans and NFL fans across the globe. In this post, I have a look at what I’ll mainly be looking for from this first game of the 2018 NFL preseason from the Cleveland Browns as they take on the New York Giants. 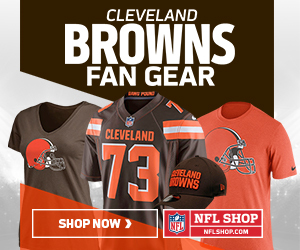 It’s time to get the 2018 NFL preseason going and the Cleveland Browns have released their unofficial depth chart for their first game against the New York Giants. In this post, I have a look at the depth chart and comment on what I see from it. The NFL is implementing new rules in 2018 with regards to the kickoff game. There are several new rules to be trialed this coming season and in this post I have a look at them and give my opinion on the whole idea of changing this part of special teams play. Wow, what a weekend of football we were treated to as the NFL playoffs reached the Divisional round. Four games were played and three of them were close affairs and highly entertaining. Here’s my look back at the games we saw this weekend.